Liang Tang joined Talon Private Capital in 2012. As Chief Accounting Officer, Liang oversees the accounting and financial operations of Talon and its portfolio of commercial properties. She is responsible for corporate and property accounting, construction job cost accounting, financial reporting, budgeting, treasury and cash management, internal controls, tax compliance and year-end audits. She is also responsible for employee benefit plan administration, payroll and other human resource functions. Liang has over 20 years of experience in accounting and tax. Prior to joining Talon, she was the assistant controller at Metzler Real Estate. Metzler Real Estate has more than USD $5 billion assets under management and is the north american affiliate of Bankhaus Metzler, the oldest private bank in Germany. At Metzler, Liang managed the accounting and reporting for institutional and private real estate funds and separate account clients and ensured their tax compliance. 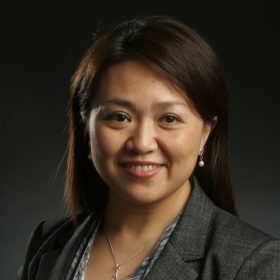 Prior to joining Metzler, Liang was the tax manager at Hagen, Kurth, Perman and Company, a Seattle-based public accounting firm, where she served primarily closely held businesses and high net-worth individuals in a variety of industries, including real estate, construction, investment, healthcare and financial services. At HKP, she was responsible for client accounting reviews, tax planning and consulting, federal and state income tax filing, state and local business tax filing, payroll tax filing, financial statement compilation and review, and accounting system setup. Liang is a licensed Certified Public Accountant and a Chartered Global Management Accountant. She is an active member of the American Institute of Certified Public Accountants (“AICPA”) and the Washington Society of Certified Public Accountants (“WSCPA”). She also served on WSCPA’s International Committee and Construction/Real Estate Industries Committee. Liang graduated from University of Washington with a Master’s degree in Professional Taxation and University of Hawaii with a Master’s degree in Business Administration.